Learn-to-Skate introduces children 4 to 9 years old to ice skating. 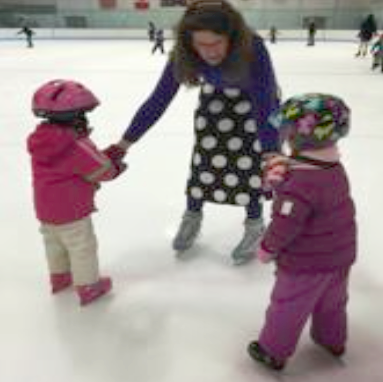 Children are grouped by age, size, and skill to develop and practice basic skating skills. Progress and enjoyment occurs as our instructors offer encouragement, patience, and fun to each student. Note - No skate on Dec. 29. Parent/Guardians must provide helmets for their children. Bike or skateboard helmets will do fine. Don't forget that it will be cold in the rink even if it is still warm outside! Warm gloves and a winter jacket are important. Snow pants are a great choice for padding and comfort.